This is Pip. 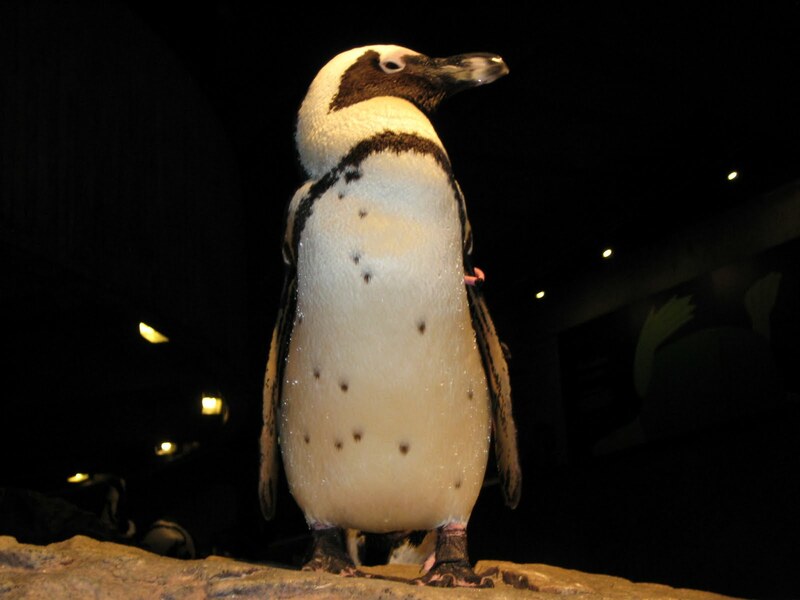 He is an African penguin with a pink bracelet on his left wing. He was born here at the Aquarium on June 1, 1997. He gets his name from the term pipping, which is the action of a chick breaking out of its shell. When the chick reaches its hatch date it will use its beak and break through a membrane inside the shell into the air space. See if you can spot the air space in the video on this previous blog about candling! The chick will then start to break the shell from the inside out. 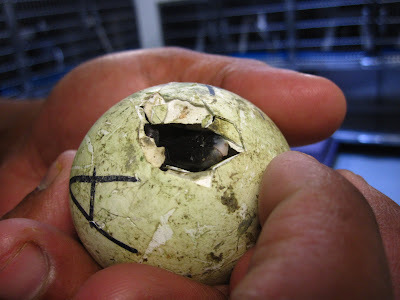 From the outside the pip will look like a tiny raised spot or a crack on the egg and as the chick continues to pip a bigger and bigger hole can be seen. You can sometimes see the chick's beak poking in and out of the shell and hear the chick peeping from the inside. The whole pipping process can take 24 to 48 hours before the chick is free from its shell. Pip happens to be the favorite bird of our recent guest blogger, Tim Pratte. The next time you are at the New England Aquarium look for this special bird in the penguin exhibit. And stay tuned to future blogs about pipping!